If you’re like me, the work routine has started but I’m hanging onto the holiday routine for as long as I can. I’ve decided to get the uniforms sorted this week so I can enjoy the rest of the holidays without it hanging over my head. Here at Made For School, we’ve made it even easier to stay with the kids and skip the shops and Back to School madness with our Free Shipping promotion. Clean out the mouldy bananas, check the uniforms and order all you need to make 2019 your best dressed year yet. 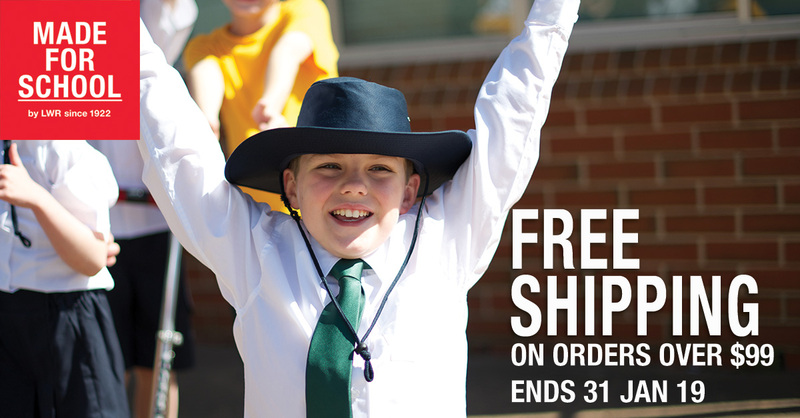 At Made For School, we’ve got a huge range of quality school wear ready to ship to you. Whether you’re after polo shirts, shorts or skirts, we’ve got those and more. We’ve got a hat for every occasion, school shirts, jackets, socks, dresses, bags and more!